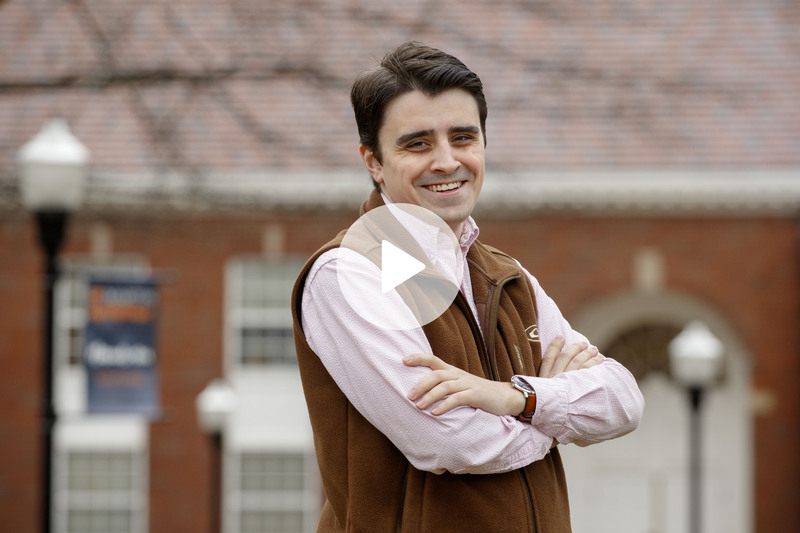 Growing up in West Tennessee ultimately prepared Christopher Ables, a junior from Martin, to study agricultural business at the University of Tennessee at Martin. "(Agricultural) business is not just about understanding how a farm works, but how rural America works," he said. As part of UT Martin's University Scholars Program, Ables is responsible for completing a two-year academic research project. His research analyzes whether variable-rate planting is a cost-effective solution to rollover damage caused by certain irrigation systems. Commonly used irrigation systems have wheels that are 20-30 inches wide and run over a certain portion of the crop as the system rotates. Using advances in GPS technology, variable-rate planting would program the planter to skip those areas, saving both seed and fertilizer. In January of 2017, Ables began working with the United States Department of Agriculture through an internship program at their Union City service center. He has handled everything from loan and grant processing to bringing people from diverse backgrounds together to complete a project. "A lot of what we do is partnerships, and I really like seeing how you can pull groups of people together to give back to a community I love so much," he said. Completion of an internship is an academic requirement for Ables' major; however, he advises other students to complete internships as well. "It's definitely worth it. You get to see what day-to-day work is actually like, giving you hands-on experience to understand the work," he said. While at UT Martin, Ables has served as a Peer Enabling Program leader for the university's First-Year Initiative that acclimates freshmen to college life; president for Rotoract, a Rotary-sponsored community service organization; and both treasurer and secretary of the University Scholars Organization. Ables plans to graduate in May of 2019 and hopes to continue working with the USDA.